Home > Exchange Server Recovery > Why Exchange 2010/2013/2016 is Not Receiving External Emails? Why Exchange 2010/2013/2016 is Not Receiving External Emails? A common problem that administrators might encounter while installing and configuring MS Exchange Server is ‘Exchange is not receiving external emails’ in exchange 2010/2013/2016. Scenario: In this situation, users are able to send and receive all the mails locally without any problem, but Exchange 2010 server is not receiving emails from the external email addresses and create issues while email is received by the server. When you will be able to view the Services window, start looking for Microsoft Exchange Transport, and then right-click on this option and choose restart. After service is restarted repeat the external mail test process and this time it should be fine. In case you are using Exchange 2013 server and the same problem occurs while receiving. In such case when you send the mails for testing, then the Microsoft remote connectivity tool will show few errors in incoming SMTP emails. In order to verify the problem you can simply check your server’s incoming SMTP emails status with the help of Microsoft’s remote connectivity analyzer. It will show an error at last, which indicates receiving external email issues on Exchange 2013. Firstly set the local DNS server in external DNS lookups. You can find it under ‘servers’ settings and then put the local DNS server IP for external DNS lookups. Now restart the MS Exchange transport and Front end transport service. Apart from this you can also modify the Host file, this might help you to fix this issue. To do this, open the host file of Exchange 2013 server and enter below mentioned host entries. Most to the times this modification in the host file resolves the problem and restarts the Exchange external transport services. In case the above mentioned solution doesn’t work for you and you are still facing the same issue, then check (MSRCA) Microsoft remote connectivity analyzer, the transport logs, Firewall logs and Exchange server event viewer. It can provide you hint to fix exchange 2013 not receiving external emails issue. Hopefully, the above mentioned solutions will help you to resolve the Exchange external email transportation issues in both Exchange 2010 and 2013 versions. If you’re facing external email receiving issue in Exchange Server 2016, I suggest you use Test-Mailflow cmdlets to diagnose the email status sent or delivered to mailbox. This cmdlets tests mail submission, transport, and delivery. It also verifies that each mailbox on server is able to send itself a test message. But this cmdlet is only available in on-premises Exchange Server 2016, it means you can’t use this on Exchange 2013 and 2016. Check here to know more about Test-Mailflow cmdlet. 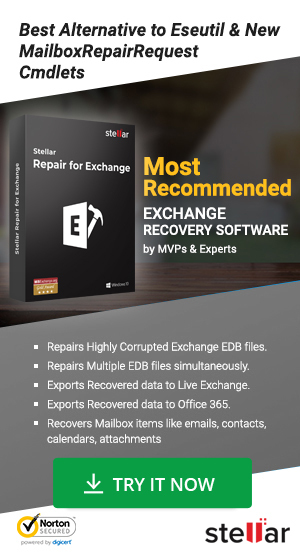 Administrator’s Choice: Being an Exchange server administrator if you encounter corrupt database issue on Exchange server, try Exchange database recovery tool by Stellar . The software not only just recover database, but also lets you migrate them back to a new server or Office 365 account. How to Recover Emails from Unmountable Exchange 2016/2013/2010 Database? Just restarted Ms Transport Service, and it is done! Apply same on Exchange 2013, if you’re running latest Exchange Server version. I tried restaring – the emails are still not coming through – can you help! Also, check queue viewer if you’ve seen emails report in log. It may be bit helpful. However, if there is no email report in log, the issue could be related to DNS settings. Verify that MX records and A records are configured correctly. There was nothing wrong with transport service at my end, but it was firewall issue! just rectified and no issue now! However, you have created bunch of informative posts for Exchange admin/user. That’s why we must say to check firewall log. should we need to deploy a smarthost to receive the external E-mails. I am facing the same problem with Exchange server 2016 and one of my friends told me that I have to deploy a smarthost for external e-mails. is’t true? I can send & receive internally, and can send to external mail successfully, but fail to receive any external mails. Please help me. Please check if your external IP has been changed or ISP is blocking inbound SMTP traffic, or the router is not forwarding port 25 traffic to your Exchange server. In case if you’ve recently migrated server, verify that SMTP is no longer pointed to old server in the email filtering product. What if I’m facing the issue in Exchange 2016? Go through the post and the comments too. If it still doesn’t get resolved, please revert back! I am using MS Exchange 2016, my mail server stops receiving incoming from time to time. only gets resolved after restarting exchange server, and only work for a day or so. After using a demo version, you can share feedback with us. We are not getting the external mail in MS Exchange 2013. Nice post! I have the same problem with Exchange 2010 server. The email was not sending or receiving. You have provided the nice tutorial on it. Thank you so much. You can also share the link among friends & colleagues.